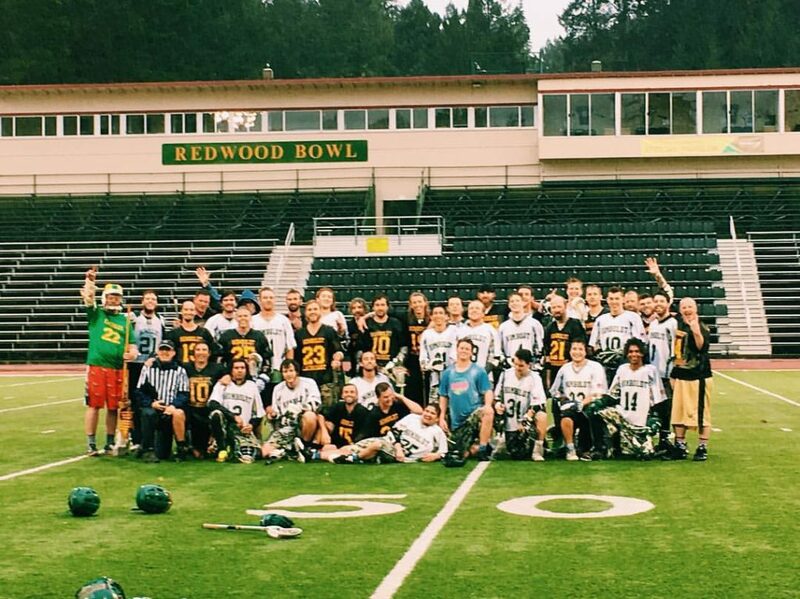 For the second year in a row, the Humboldt State lacrosse alumni were able to secure a slim — if not shady — victory over the young guys during the Hogs alumni game. 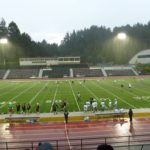 In 2015, questionable clock keeping allowed the Old Growth to slip in one more goal before the final whistle; this year, a nearby lightning storm brought a hasty end to a rain-soaked and wind-swept match in the Redwood Bowl. 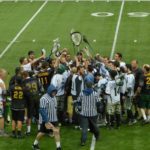 Down 5-3 at one point, the alumni eventually grabbed at 7-6 lead and were soon petitioning for the game to be called due to inclement weather. 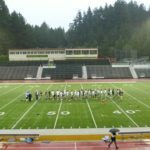 The officials eventually agreed and stopped play, much to the dismay of the HSU squad. 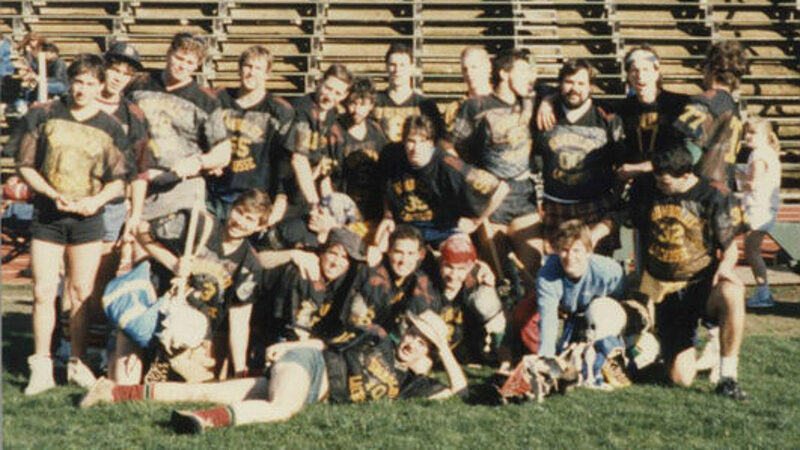 This year’s Hogs Memorial Alumni lacrosse game was played on Oct. 15 in memory of Joe Knarr. 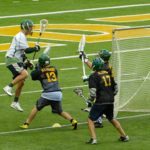 Taylor said the weekend was a time to reflect and enjoy lacrosse. 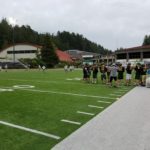 “Best of all, it’s a time for alumni to reconnect with old friends and to make new friends with the college boys,” he said.